September 27th is National Corned Beef Hash Day in the United States. 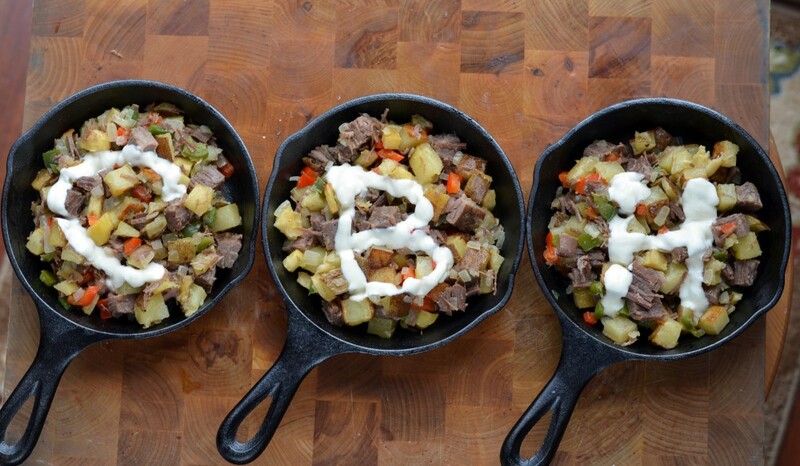 That’s right, Corned Beef Hash. Whether you like it straight out of the can or truly from scratch, this day of gastronomic destiny is yours! 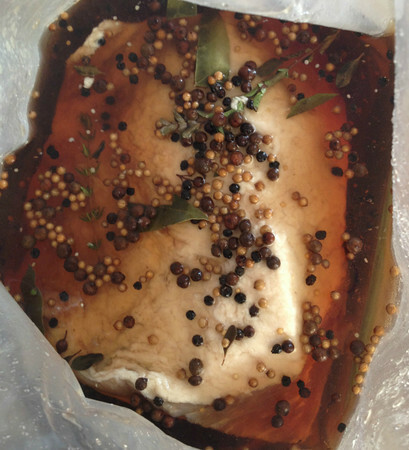 So, let’s get this party started now because it’s time to brine that brisket. And your reward for that effort is to-die-for CBH with my own custom recipe – huzzah! Below is a rough time table of possible celebrity chef and food magazine recipes guaranteed to make September 27th a winner. I will also be expanding this post as I work with the talented Brandie Kajino to capture the creation of Tyler Florence’s version. Hash away! Here’s the link list to help you get your brisket going. Now that you’ve got your brisket going, you’re probably asking yourself, “How in the world did corned beef get its name? I don’t see corn anywhere in the recipe!” Fair question. According to Wikipedia, corned beef gets its name from the treatment of meat with “corns” of salt. Salt has the property of drawing out moisture form the cells in the meat, halting bacterial growth. For those lucky enough to have a copy of Harold McGee’s bible, On Food and Cooking: The Science and Lore of the Kitchen, you will discover the use of not only NaCl (sodium chloride), but also KNO3 (potassium nitrate) a.k.a. nitrates. Bon Appetit’s use of Insta Cure No. 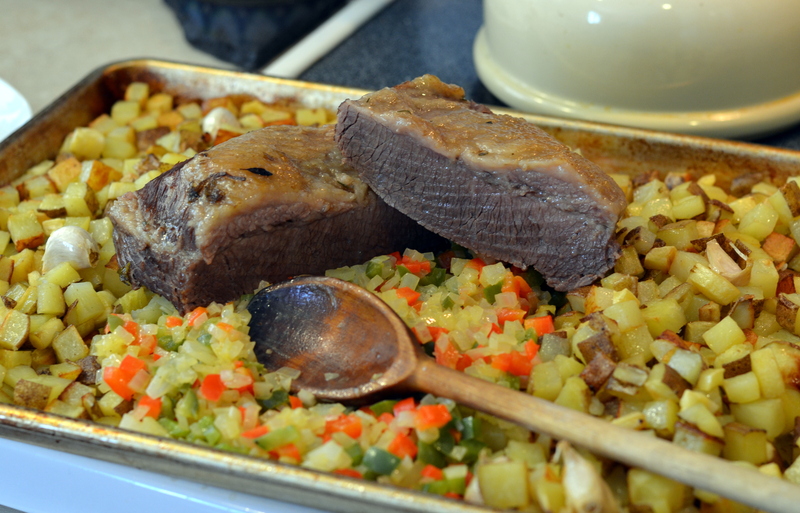 1, owes its heritage to 16th and 17th century usage of nitrates that helped “brighten” the color of the meat. Today, we have refrigerators and use brine solutions heavy in salt and other spices to impart flavor and plump up the the cells in the meat with more water for cooking – a total jujitsu move! Now that I have revealed my inner geek, sit back, relax and enjoy the magical process of brining your brisket from scratch. Stay tuned for further updates from me and Brandie! Well shut my mouth and damn my eyes if this wasn’t one of the best hashcapades ever! I arrived at brine central, a.k.a. Brandie Kajino’s casa, to the wonderful smell of corned beef brisket fresh from the dutch oven. Seriously, I wanted to bottle the air and release the drool-inducing, rarified aroma in my own kitchen! I’d tell you all about it, but Brandie did all the work and created a wonderful post that you simply must read to see how she brined and cooked the quintessential corned beef brisket. (Teaser photo below). Stay tuned for the hashcapade finale tomorrow where we reveal the final steps in this hashcapade. Don’t worry, you’ll have the pictures and my custom CBH recipe with a couple days to spare. After all, it’ll soon be your turn to shine on National CBH Day! Welcome back! By now, you’re on the home stretch and are eager to get your wagon to the promised land. Well, I’m here to ensure all your hard work comes off without a hitch. So let’s get started. 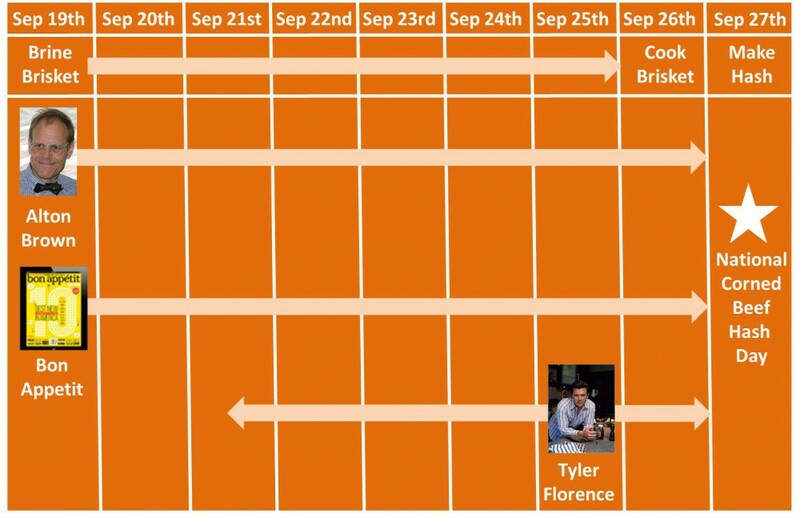 You’ve already got the background from Brandie and how she made Tyler Florence’s Corned Beef Brisket. 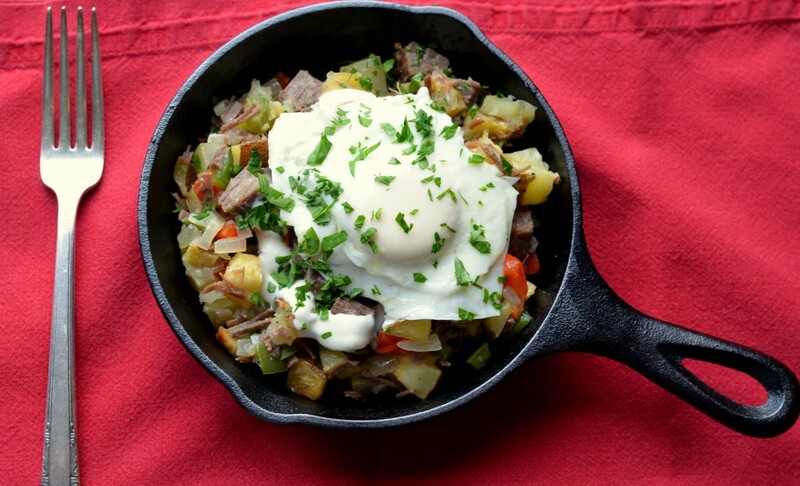 Now it’s time to create the ultimate Corned Beef Hash – crank up the oven and let’s get going! You’ll dice up 4 medium Russet potatoes, 3 medium parsnips and toss in 6 cloves of unpeeled garlic with olive oil and liberal amounts of kosher salt. Roast in 1 or two lined baking sheets for 40 minutes at 425 degrees. Now, I don’t know about you, but cooking in a hot kitchen makes me thirsty, so Brandie and I opted for pints of Guinness whilst we roasted the goods and prepped more ingredients. Dice 1 red and 1 green bell pepper each, dice one medium to large yellow onion and saute for about 5-6 minutes in 3 tablespoons of butter. You don’t want the peppers to get mushy. You’re on the home stretch, now, so dice the corned beef brisket while the potatoes and parsnips continue to roast. See how easy this is! Here’s a final shot of the basic ingredients before it all comes together. Note: large chunks of brisket are pre-dicing. Do not attempt to chew on large chunks or use as tire stops. You know what to do! 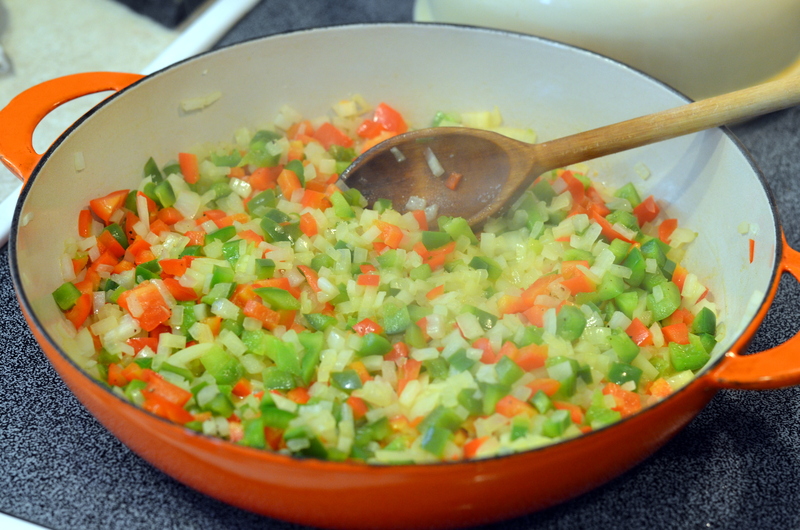 The final steps are to combine all the ingredients in a large bowl; add salt and pepper to taste. Make sure to set aside the roasted garlic to squeeze into the mix. (Like a precision surgical team counting sponges, Brandie and I tallied the garlic cloves so we didn’t leave any in the bowl. Hash malpractice insurance is sooo expensive!) Next, whisk together 7.5 ounces of creme fraiche and half of a 4 ounce jar of creamy horseradish. Salt to taste. Fry, baste or poach up to 6 eggs and chop up 3 tablespoons of Italian parsley. Plate into a mini-skillet, drizzle horseradish cream sauce on it, place egg on top, sprinlkle with parsley – voila! After an extended photo shoot in Studio Brandie, the ultimate test was about to happen. Hiro, Brandie’s expert CBH expert sat down to his skillet, added some more horseradish sauce and dug in. He seriously didn’t come up for air until his skillet was empty, which we took as a good sign. He declared it better than Petite Provence, which is high praise indeed. The bottom line is that corned beef brisket from scratch, great ingredients, great friends and Guinness can’t be beat! Thanks to Brandie, Hiro, Tony and Rosie for making this the best hashcapade ever! Wait…more to come…what to do with your leftover CBH! You didn’t think we would let you go that easily, did you? Not before we impart additional wisdom. For example, do you know the best way to dice bell peppers with minimal fuss? Brandie captured my tried-and-true method to enhance your knife skills. Be sure to check it out! In case you decided not to brine your own brisket, don’t worry. Today would be a great day to grab corned beef from the store that is ready to cook. Just follow the directions on the package and go from there. EZ! 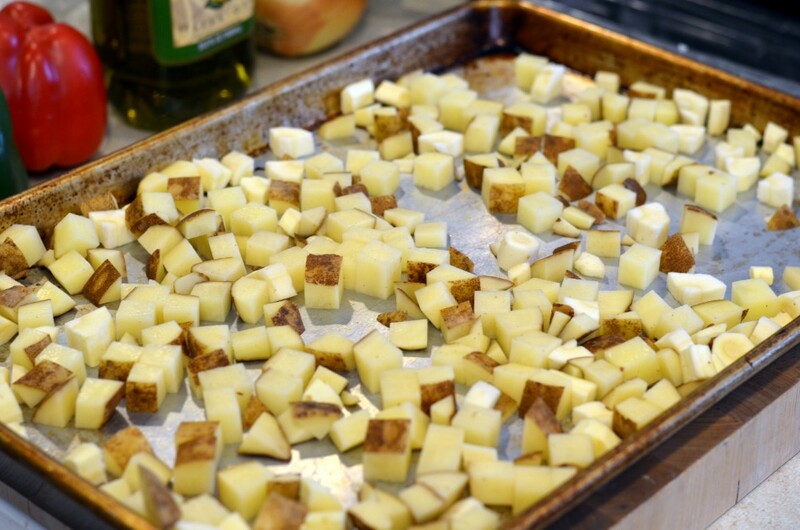 2) Spread diced potatoes, diced parsnips and garlic cloves on one or two rimmed baking sheets. Drizzle with olive oil, mix and then add salt and mix again. Place in oven for about 40 minutes, checking towards last 10-5 minutes for doneness. 3) While potatoes, parsnips and garlic are roasting, saute onion and peppers in butter for about 5 minutes or until tender, remove and add to bowl with corned beef. 5) In the big bowl, add the potatoes & parsnips when done. Carefully squeeze roasted garlic cloves and stir the mixture thoroughly, seasoning with salt and pepper to taste. 5) If adding eggs, prepare to your liking, then plate corned beef hash, drizzle horseradish cream sauce, then top with egg and sprinkle with parsley. Ahhhh. 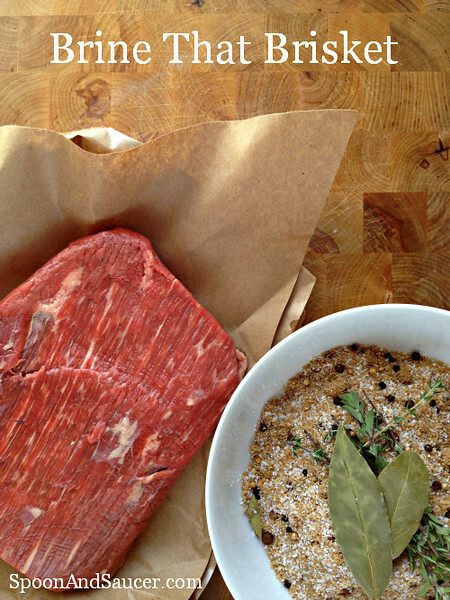 The brisket is steeping in spices and salt in the ultimate jujitsu move – huzzah! Thanks for getting the party started, Brandie!